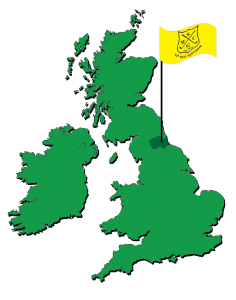 In the build-up to the 149th staging of The Open Championship 2020, the golfing world will turn its attention on Royal St George’s – also known simply as Sandwich – as well as the many other fine golf courses in Kent, putting the county in the media spotlight. The Open Championship 2020 sees the competition return to the county after an absence of nine years; its last staging, also at Sandwich, was in 2011 when it was won by former Ryder Cup captain, Darren Clarke of Northern Ireland. Royal St George’s, recognised as one of the top 10 golf courses in England, remains the only course in southern England to feature on The Open Championship roster. “Royal St George’s is honoured to be chosen to host The Open Championship once again and it will be a fantastic opportunity to show the world what a tremendous golf offering Kent has in terms of top quality courses, excellent accommodation and a range of historic and cultural off-course attractions,” commented Tim Checketts, Secretary at Royal St George’s. The Open Championship has a longstanding association with Kent. When it returns in three years time, it will mark the 18th time that the county has hosted the tournament. Indeed 2020 will be the 15th occasion that Royal St George’s has staged the event, with the first time dating back to 1894. Neighbouring Royal Cinque Ports Golf Club, another of England’s most revered championship links, was the venue for The Open in 1909 and 1920 whilst Prince’s Golf Club, adjacent to Sandwich, hosted the tournament in 1932 when it was won by Gene Sarazen. 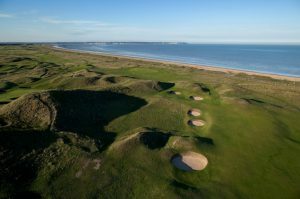 The east coast of the county is also the location of another championship links gem at Littlestone and the challenging clifftop course at North Foreland, both of which have hosted Final Open Qualifying events for The Open Championship as recently as 2011. Kent also has an abundance of highly-regarded inland courses such as the two downland layouts at London Golf Club that were designed by the legendary Jack Nicklaus. In Edenbridge, Hever Castle Golf Club offers 27 holes in picturesque parkland, with its very own ‘Amen Corner’ from the 11th to the 13th of the championship course made up of the King’s and Queen’s nines. Not far away in Lenham, an exquisite nine holes at Leeds Castle Golf Club overlooks what is said to be ‘the loveliest castle in the world’. In addition, Pentland Golf’s downland courses at Boughton and Etchinghill are built on typical Kent terrain. Boughton, near Canterbury, has taken advantage of the county’s naturally undulating landscape whilst with Etchinghill, close to Folkestone has been expertly carved out of the hillside overlooking the Elham Valley. Golf in Kent is a partnership set up between Visit Kent and some of the county’s leading golf clubs and hotel providers to promote the county as one of England’s premier golfing destinations. Known as ‘a golfer’s paradise in the Garden of England’, Kent offers a wide variety of golf breaks which are easily accessible from the international airports of London and from Europe via Eurotunnel le Shuttle and the ferry port of Dover. In the second in our series of articles on golf’s Major events, this time we turn our attention to the second oldest event in the golfing diary – The US Masters! Every year we get excited about the upcoming golfing calendar with some enthusiasm. Each year there are different players in contention and no one golf tournament is ever the same! 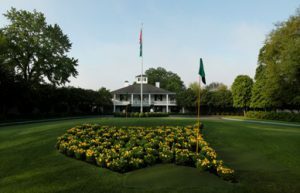 Universally seen as the curtain opener to the golfing season, The US Masters began in 1934 and is the only Major that is always at the same venue each year – the glorious Augusta National in the US southern state of Georgia. The idea for Augusta National was the brainchild of Clifford Roberts and Bobby Jones. Jones wanted to build a golf course after his retirement from the game. He sought advice from Roberts, who went on to become the Chairman of the club. He sought advice from Roberts, who went on to become the Chairman of the club. The land had been an indigo plantation in the early nineteenth century and a plant nursery since 1857. Jones hired Alister MacKenzie to help design the course, and work began in 1931. The course formally opened in 1933, but sadly MacKenzie died before the first Masters Tournament was played. The Championship is full of history and abides by some long-standing traditions…. Since 1949, a green jacket has been awarded to the champion, who must return it to the clubhouse one year after his victory. Although it remains his personal property and is stored with other champions’ jackets in a specially designated cloakroom. In most instances, only a first-time and currently reigning champion may remove his jacket from the club grounds. The Champions Dinner, inaugurated by Ben Hogan in 1952, is held on the Tuesday before each tournament and is open only to past champions and certain board members of the Augusta National Golf Club. Beginning in 1963, legendary golfers, usually past champions, have hit an honorary tee shot on the morning of the first round to commence play. 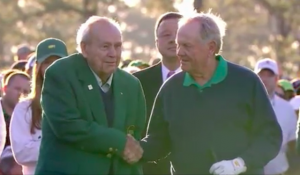 However, this honour was given up to the BIG three in Arnie, Jack and Gary but sadly this is no longer possible following the death of Mr.Palmer in 2016. Other that have had the privilege of this honour include Gene Sarazen, Sam Snead and Byron Nelson. Finally, the newest event at The US Masters is probably the best loved – The Par 3 Championship started in 1960, but it’s no indication of who will win the main event…. the winner of this Par 3 contest has never won the main event! The Masters has the smallest field of the major championships with around 100 players. Unlike other majors, there are no alternates or qualifying tournaments. 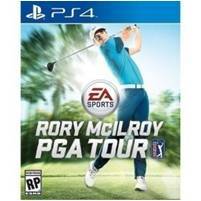 The top 50 players in the Official World Golf Ranking are all invited. Past champions are always eligible, but since 2002 the Augusta National Golf Club has discouraged them from continuing to participate at an advanced age…. – Most of the top current players will meet the criteria of multiple categories for an invitation. 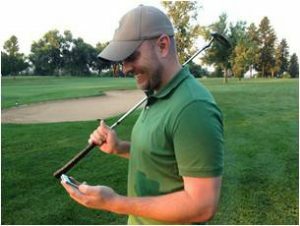 – The US Masters Committee, at its discretion, can also invite any golfer not otherwise qualified. The first winner of the Masters Tournament was Horton Smith in 1934. He repeated his win in 1936. The player with the most Masters victories is Jack Nicklaus, who won six times between 1963 and 1986. Arnold Palmer and Tiger Woods have each won four, and Jimmy Demaret, Gary Player, Sam Snead, Nick Faldo and Phil Mickelson have three titles to their name. Player also became the tournament’s first overseas winner with his first victory in 1961. It’s very difficult to predict the outcome of these events. We all remember Jordan Speith’s now infamous collapse in 2016 allowing Brit Danny Willett to come up on the inside and steal the day. As with many sports, modern technology now allows us to make a bet on our favourite players, even once the tournament has started. However, if you are thinking of getting in on the action this year be sure you are using as respected and established company…. There’s are plenty of reputable betting companies available on which to place a bet but ensure you are only using a recognised bookmaker who is also regulated by the UK Gambling Commission. As we write this article we are still some weeks away from the US Masters, so its probably too early to predict our winner but this year could be a vintage year. Tiger is back, Rory wants to add this Major to his portfolio, Henrik Stenson is hungry for more Majors but as last year showed it could be anyone. 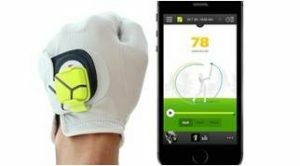 Maybe we should look to Official World Golf Ranking for inspiration…. With the US Masters no longer just one of Golf’s big events but also one of Sport’s great annual spectacles, and as such we will again be parked in front of the TV come 6th April….and we can’t wait!